You'll like this car if high mileage is a must and regular is your gasoline of choice; its 28/36 city/highway EPA fuel economy numbers trump the Volkswagen Rabbit's, for example. If safety is your issue, the Elantra offers front, side-impact and side-curtain airbags, plus antilock brakes (ABS), as standard equipment. 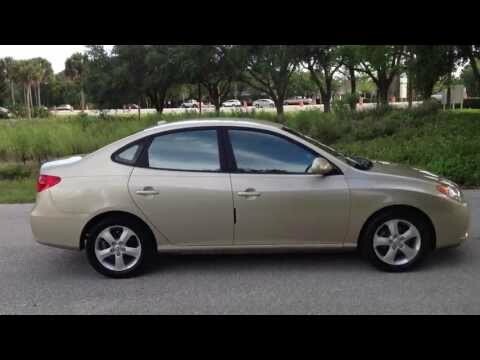 2007 Hyundai Elantra is a dream to drive! I have been driving my 2007 Hyundai Elantra for years and I have grown very attached to it! My favorite feature is definitely the sunroof that I have which makes my fall morning commutes heavenly. I also really enjoy the interior, the seats are as comfortable as can be and I really enjoy the color scheme of the trimmings and the console. There's a lot of different compartments to hold things, and I really enjoy the one on top of the dashboard; I rarely see this feature in any other car. The blue interior lights when I turn on the headlights is very aesthetically pleasing and it makes driving at night very enjoyable. It is very reliable after all these years and I have only had to bring it in the shop twice, once to change the transmission and another to change the brake pads. Other than that, it is been a dream driving this car. The car takes a while to accelerate from 0 to 60 mph but my commute is only 30 mins one way so I don't really notice it very much. A great car, if you're looking for something small, simple, and reliable. I'm not a big fan of driving, so I like a simple car. The car is small and easy to maneuver. It's reliable, good gas mileage, AC. I have two medium-big dogs, who can get up easily and share the backseat. The back windows roll all the way down which I love. I'm not crazy about the angle of the back window, at my height, it's a bit tricky to back up, but using the mirrors, very doable. I've had issues with the driver's side visor falling down randomly, and have had to replace tires more frequently than expected. My vehicle is just that, a car with wheels and you put gas in to go. My car is great! But there are some odd things that have happened to it. During the start up on rainy mornings the car makes a loud screeching noise when I turn. I have been told this is just something that happens with Hyundai’s after wear and tear. My car is not only 11 years old and I have had cars much older that this never happened to. The car gets terrible gas mileage. But this car has gotten me from point A to point B for a long time. I am almost at 150k miles and it is still trotting along.